Stay cool during the day or enjoy a dip to end the day in WET® one of Singapore’s largest resort outdoor pool areas surrounded by beautiful landscapes. 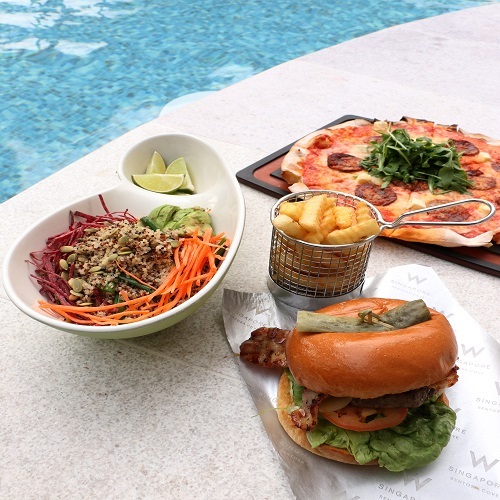 Recharge with delectable selections from the poolside bar menu that dish out W Singapore – Sentosa Cove fun on classic favourites, healthy and light, finger picking snacks or refreshing cocktails. The lower priced item will be deemed complimentary.